Little boy clothes are the cutest!! We have had so much fun picking out Mazen’s clothes everyday, and we’re just now leaving the newborn onesie stage and moving into some 0-3 outfits that are soooo cute! When I was hunting for an outfit for Maze to wear to this past weekend’s wedding, I wanted something much dressier than a onesie but also something that had a farm feel. Of course I leaned towards denim. 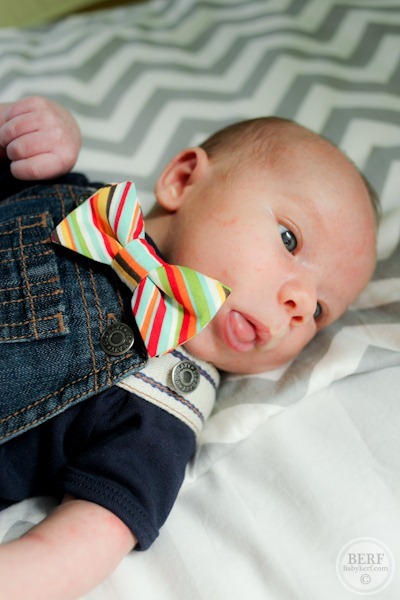 But putting a baby just in overalls for a wedding seemed to be missing something, so when long-time KERF reader and mom McKenna emailed me that she would love to send me one of her Uptown Boys bowties for Mazen, I knew this was our answer to snaz him up! 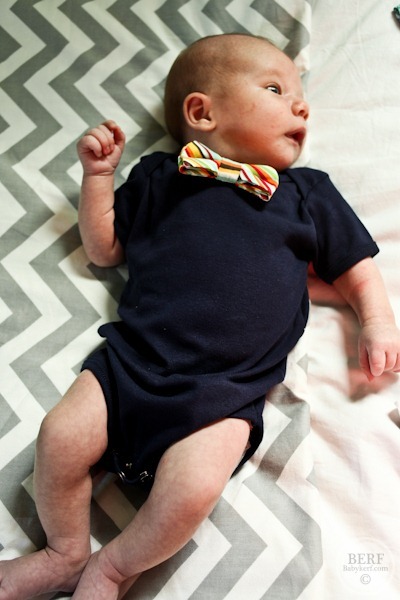 The Uptown bowties actually snap on to onesies fitted with a snap, so there’s no tying or loop around your baby’s neck and they stay perfectly tied and in place. McKenna sent two onesies – white and navy – and three ties to choose from for the wedding. We went with the boldest colors for extra fun, but I love the other patterns as well! There are a whole host on the website. Mazen loved the fun colors! We completed the outfit with overalls and cowboy booties! More info on Uptown Boys and their Facebook page! To enter: leave a comment with your favorite bowtie pattern! 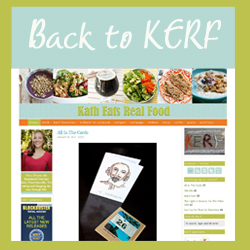 Giveaway ends Tuesday, October 9 at midnight. Winner announced on this post on Wednesday. The random integer generator has selected Elaine as the winner! I love the Dalton! My new baby due in December would look so cute! Awww! My baby boy Isaac is 11 days old! We have pics with my in laws for the holiday card on nov 11. We’re to wear jeans and a white shirt! 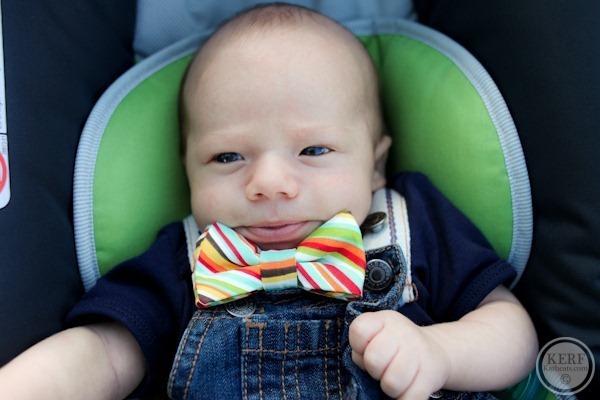 I would love the Clifford bowtie for Isaac! I’m thinking the Norman would be adorable for Christmas picture. I love the blue one in the middle. My favorite would have to be the Dixie! So cute! Baby boy Andrew due in 3 weeks! I love the Dalton bowtie pattern! I definitely like the bright colors that are in The Finn! I love the Hadley print! These are too cute! My little guy is 7 weeks old and these would be too cute for holiday pictures!! I liked the black/white plaid one although all of them are precious!! I love the Dalton and the Finn! These would be so cute for my son’s first birthday at the end of the month. Adorable!! I love the Hadley! Baby Weston is due just in time for holiday pictures with the fam. We love the Dalton bowtie! My sister is pregnant with a baby boy, and I would love to win and give this to her! My favorite would probably be the Dalton. I love the striped bowtie Mazen is wearing. He looks quite Amazing :). I would love my son to wear these! I love the tie you chose for the wedding. Maze looked adorable! I recently found out I am having a baby boy (due in February). He is my first and we struggled for a long time to get pregnant. I could not be more excited to welcome him to the world and I am happy to know about this option for dressing him for fancier occasions. Such a cute idea! It’s a tough call, but I think I’d have to go with the Norman! I’m torn between the Clifford and the Dalton! They all really are adorable! I love so many of them, but The Carlisle is my fave. Super cute!!! The Norman seems perfect for the holidays! I don’t know yet if I’m having a boy or a girl (though something is telling me it’s a boy! ), but I’m digging the Hadley. My husband wears a matching gingham print button down and I would love for him to have a matching mini-me! Ohhh my, how CUTE! I’m having a hard time choosing just one! I think the Finn is one of my favorites! I love he carlisle and the theodore! So cute and love that its a MIL/DIL duo! Those babies on the Uptown Boys website are TOO cute! Picking a favorite style is a tough call but I’d have to go with something classic like the Oxford. I love the fun bold bow tie Mazen wore! These are adorable! My favorite bow tie pattern is definitely The Hadley. Partly because I love that name, not going to lie! But, I also love pattern. love the dixie! isn’t having a boy wonderful? my little one is 4 months. congrats! My best friend is having a little boy in December. This would be so fun to give her! I love the Carlise with it’s pop of purple! 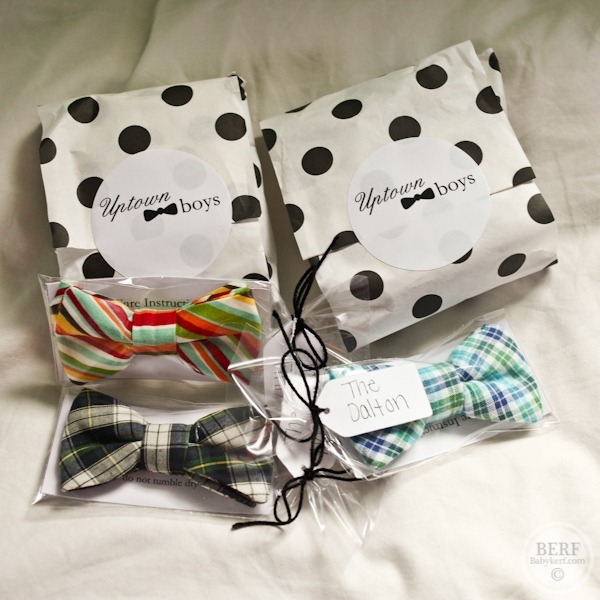 The hadley and ranger bowties are adorable! What a cute idea! The Hadley is adorable! Thanks so much for the giveaway <3 I can just imagine my 3 month old wearing these during the holidays or to church! It’s hard to pick between the oxford or alexander. My husband loves bowties and it would be cute for our little guy to match. Our little guy is almost four weeks old. All of them are adorable, but I especially love the camo print! These are adorable! 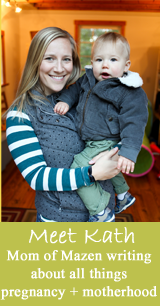 I’d love to win one for my friend’s little boy – the Alexander is my fav! I loved seeing these. What an awesome idea! Plus being a Doctor Who fan, the hubby and I definitely think “bow ties are cool!” I adore the “Clifford” pattern. Our lil’ man is actually due this Friday (NERVOUS + EXCITED!!) and how fun would these ties be for upcoming family gatherings like Thanksgiving and Chrismannukah? I love the Theodore. I’m having a boy in January, and love the idea of dressing him up like a little professor. Oh my goodness, they are all too cute! My best friend just found out she is having a baby boy, and I would love to win this for her! The colors of the Theodore are beautiful!! Sweet! I love Mazen’s bright colored bowtie! My favorite is The Lincoln but my husbands favorite is The Theodore. They’re all so cute! Oohhh- tough choice, but I would have to say that my pick for my 5 week old little man would be the Finn of maybe the Clifford! So adorable! Our little Ripken (Rip) is 10 weeks today. The Finn and the Dalton…love them both. We would love to win but if we don’t, we may have to place an order!! LOVE the Finn! Fingers crossed that my sweet baby boy (that will be here in February) will win! What an adorable idea for a baby outfit for the wedding! I love the Finn! I love the striped one. Too cute! I am having a little boy in November and The Finn would make for an adorable Christmas outfit! i love the one mazen is wearing! My second little boy is due in 2 weeks! Both of his grandpas love to wear bow ties, so this would be adorable for the holiday season…he could match with his granddads at all the festive occasions. Everyone of the designs are precious, but I really love the Henry! Thanks! I love the one that you picked for Mazen to wear to the wedding! The bright colors are awesome! A good friend just had her baby boy, and he needs a little outfit for an upcoming wedding! These would be perfect! He is such a cutie! It’s so fun watching him grow and change! I’d love to be entered into the contest, for the stripey colorful bowtie, thanks! My soon to be born grandson would look so cute in one of these bowties. I like the Washington and the Lincoln cuz they’re red white & blue. I love The Washington! Perfect for the 4th of July … and since we live in Washington DC, he’ll fit right in. Especially on The Hill where everyone is wearing a bowtie! Our first baby, a boy, is due in January! Definitely the multi-colored striped one. I love the Alexander… these are too cute!! He is adorable. I’d love to have some for my little guy due in November! And where did you get those booties????? I would love to win these for my nephew! His baby blues would sparkle next to the Dalton! So Cute! I love the Dalton, this would be perfect for our little guy’s first Thanksgiving! Hadley and Norman! My new nephew would turn all the ladies heads. This is so perfect! We are having a baby in Feb. and we both think its a boy and this made me so excited:) I loved the bright one you chose but also the Watson online is super cute. My husband and I were in Lexington too this weekend for the VMI reunion! I am torn between the Dalton and the Hadley! Thanks for the opportunity! How cute are these! I like all of them…but that Norman is calling to me…. I love the dalton bowtie! I have a baby boy 14 month old! Mazen is too cute! I like the Watson and also the pin-striped and plaid / checked ones. It would be hard to choose! I am pregnant with a boy due in December, and these would be so cute on him! I like the one that Mazen wore to the wedding! These are all so cute, I am loving the Carlisle!! I love the Hadley and the Paxton! I was just made the godmother of my cousin’s son and I think one of these bow ties would be perfect for his post-baptism pictures! My baby is due in 5 weeks so I love the idea of this outfit for the Holidays with the Clifford! Love the Norman for my little 1 year old! I love “The Hadley”! 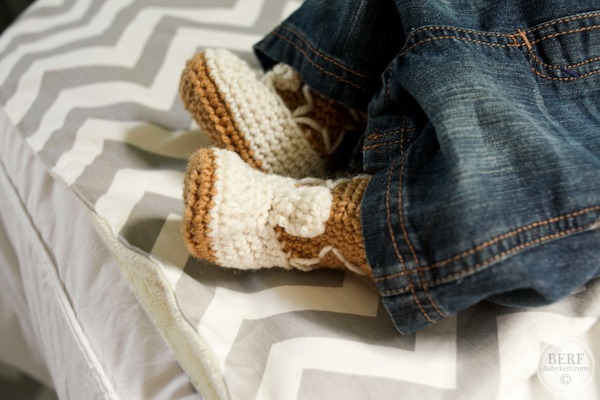 So cute but classic, I’d love one for my little guy (due January 4th, can’t wait)! My husband is a bowtie fanatic and I’ve never seen him get so excited about baby clothing until I showed him these! Our favorite is the Alexander! What a cute idea! I love the Carlisle! The Finn bowtie is just adorable! I love them!! Pick a color for me – they’re all way cute! These are ADORABLE!!!! I always feel that boys get the short end of the stick when it comes to clothing options…not anymore! My favorite is The Dalton. I love the Dalton. It would go perfect on my new nephew! I love the dalton. It’s a classic. My nephew is going to be our ring bearer in my wedding in Mexico next year and the bright bold colors of the Finn would be perfect!! I l.o.v.e. the classic look of the Alexander! My husband thinks it is very cool too because it is our last name! How cute! I have 2 rriends having lil boys! I like the blue/green plaid! Love the Finn! Alexander comes in a close second though. They are too cute! Although it’s a tough decision, I’d have to say the Dalton is my fav! My favorite is the Dalton! I like the norman for the holidays! 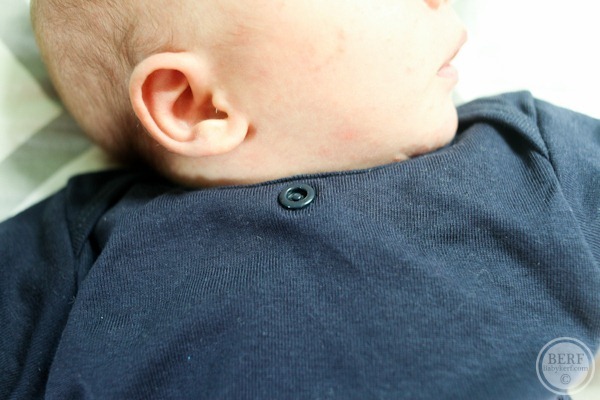 Would love the Norman for our little bundle on the way… and a navy onesie. Thanks! My favorite is the Clifford. I would love it for my two month old’s photo shoot coming up next month! Love them all but would have to go with the Dalton!!! But really, it would be hard to choose – these might be perfect for our baby’s first time meeting his great grandparents at his grandfather’s 90th birthday party! It’s so hard to choose…but I think my favorite is the Alexander! I love The Finn. So bright, so fun. I love the Theodore. They are all so adorable though! Love the Dixie and the Norman! i love the norman (reminds me of my old catholic school uniform!!) and the dixie!! Aww, those bowties are so adorable!! I love The Alexander. My cousin just found out that she’s expecting a boy, and I know that she would absolutely adore these! I would have to say that the Finn is my favorite; mostly because it is my five month-old’s name! I love the green, blue and white bow tie!! I like The Alexander. Would look so cute on my son due in 2 months! Congrats again on Mazen! The blue plaid (Dalton!) is my favorite. Our little boy is due in just a few weeks (11/2!) and these are wonderful. You’re Mazen is just beautiful! The Norman is adorable and my favourite. Congrats on your handsome boy! !I love dressing our little guy up…completely agree with buttoning up shirts. We have my sisters wedding in April and the Dalton bowtie will match the colors perfectly. So cute!! OMG – I would love this! My hubby is an exclusive bow tie wearer, and these are perfect!!! The Finn is probably my favorite. LOVE the Watson! They are all so great! I love the Carlisle! Perfect for Easter! The Theodore is my favorite! Really cute concept. I like the Theodore and Dixie! Tough choice, they’re all cute. I like the photo on the site with the baby suspenders! I like the bowtie Carlisle for Easter. I love love love the “Norman”. And the “Oxford”! SO cute!!! adorable bowties! Love the baby ones, what a great idea! I love the “Norman” and the “Oxford” !!! SO cute!!!!!! Fun! I love The Norman. 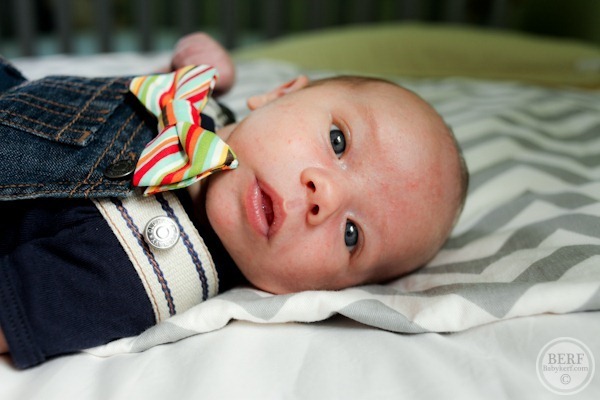 Our youngest son will be turning 1 this December and a bowtie would look so adorable on him! Love the Dixie bowtie! I love these – particularly the Dixie. So fun! These are all so cute! I particularly like The Hadley, although I know my husband would like The Ranger! I love the Dixie pattern! those bowties are to die for! I love the Hadley! Mazen is so adorable! My favorite is The Watson. I love the yellow! I’m due in 5 weeks and my husband and I agreed on the Hadley bowtie for our little man! The clifford would be perfect for the upcoming holidays and would make a cute Christmas are photo for my little man! I love the Finn! It’s so cute, but the Dalton would be great as well! My friends just had adopted a baby boy and this would be so perfect for them! My 11-week old would look soooo handsome in the Clifford for some holiday photos! Great collection! I’m a Dixie girl, but the Hubs would probably pick the Ranger. I love the plaid-super preppy! I love the Norman! My husband and I are expecting a boy around Christmas and always have a NYE party. 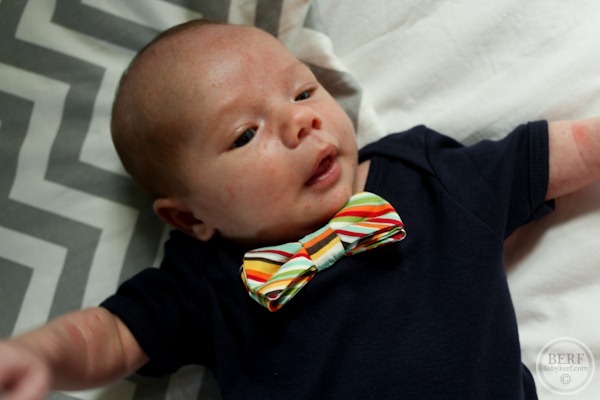 Our little one would look adorable with an Uptown Boys bow tie for the party. Gotta go with the Norman plaid one! So cute!!! This is brilliant. I love the Hadley. Thanks for sharing! I love the Dalton pattern! 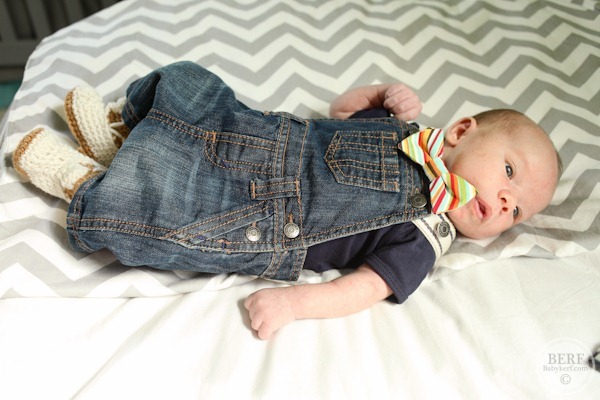 Our little boy is due at the end of December and has some diapers that would match the bowtie to a ‘T’! How adorable would that be?? Mazen looks SO sharp, and I love the idea of a little snap right on the onesie – genius! I’d say my favorite bow tie pattern would be plaid or some vintage-style floral print. Baby boys are so stinkin’ fun! Love the brightly colored stripes! oh my gosh, they are all darn adorable!! 😉 If I had to choose one, I’d go with the Clifford. love the snaps! i love the alexander. How adorable!!! LOVE the Alexander! What a clever idea! I love them all! They are all so adorable!! I love the Dalton and the Oxford. I’m not sure if I’ve ever seen anything so cute!! They are all cute but the Norman or the Oxford are my faves! I think the Norman is absolutely adorable. It would look so cute on my new nephew (to be born in November!) for the holidays. So hard to pick just one… but I’d have to say the Dalton is my favorite! I’d love to dress up our little guy (due in January!!) 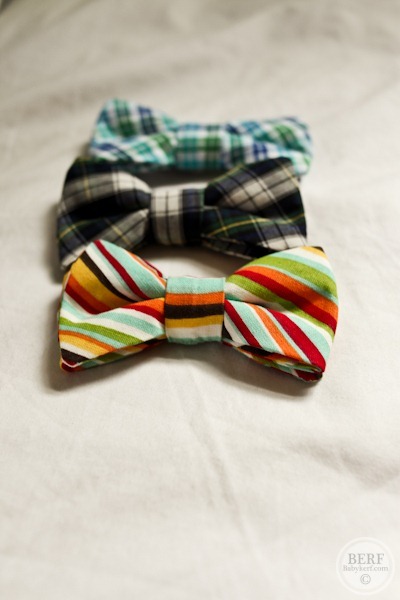 in one of these bow ties! Soo cute 🙂 I like the blue and green one. We found out we are having a boy a few weeks ago 🙂 I’m due in Feb and have been following your blog since you got pregnant! My favorite bowtie is the multi-colored striped version (“the finn”) that Mazen is wearing! I like The Finn 🙂 Although, my son is now wearing 2T-3T clothes, I would pass it along to my little sister who is in LABOR now 🙂 I should have another nephew by the end of the day! Way clever idea, by the way. Love the Dalton and the Oxford!!! They are all super cute though! I think my favorite is the Norman. These are too cute! I’m sure my 11 month old would be (somehow) even MORE handsome in one. omg-soooo cute! I have 3 friends having baby boys in the next 3 weeks, so I would be the best “auntie” with this gift! love the Dalton! I love the dalton such a cute way to dress up a baby boy. Who says girls have To have cuter clothes! The bright one Mazen wore for the wedding, the Finn!!! My friend had a baby boy a few weeks before you and these would be an awesome gift!!! They are all so adorable! I think if I had to choose I would pick the Hadley. I’m pregnant now and though I don’t know what I’m having yet, I would still love to give this to one of my nephews! i love the finn! so adorable! Baby Cruz 6 weeks old and diggin the Alexander! Love both the Alexander and the Dixie! Precious. Eek! These are just too cute for words. I LOVE both the Alexander and the Finn. Great giveaway!!! I’ve never seen such excitement over bow ties!!! I love the pattern Mazen wore to the wedding. So cute! My second son is about 10 days older than him and definitely needs his own. I love the Norman best, as my husband is from Scotland! My little Scottish boy is due Oct. 31st! I love the Norman and the Clifford. They would be too cute on my little one for Christmas pictures! They’re all super cute, but Norman is my favorite! I love “The Dalton” one it’s super cute and just bright enough! I like The Hadley & The Norman! Shoot! I am in Norway and missed the deadline… Still want to comment and say that the green and white is the same plaid i wore as my Catholic elementary school uniform!! Too funny.